U.S. Gets A Big Win In Its Long Fight With Mexico Over 'Dolphin Safe' Labels The World Trade Organization sided with the U.S. on Friday, rejecting Mexico's claim that the U.S. is unfairly denying Mexican tuna products the advantageous "dolphin safe" label. Tuna, seen on display last year at a fish market in Mexico City. The World Trade Organization dealt Mexico a defeat on appeal Friday, dismissing the country's argument that labeling regulations in the U.S. violated WTO rules. 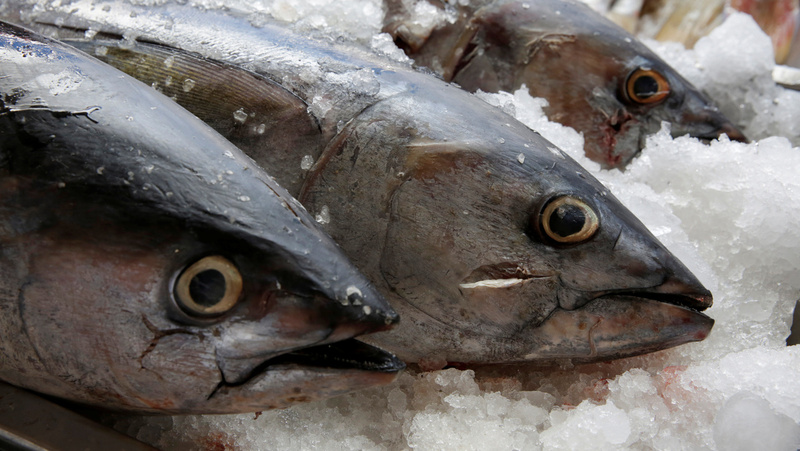 More than a decade since Mexico first brought its case to the World Trade Organization, the country has lost its argument that U.S. labeling rules unfairly discriminate against its fishing industry. 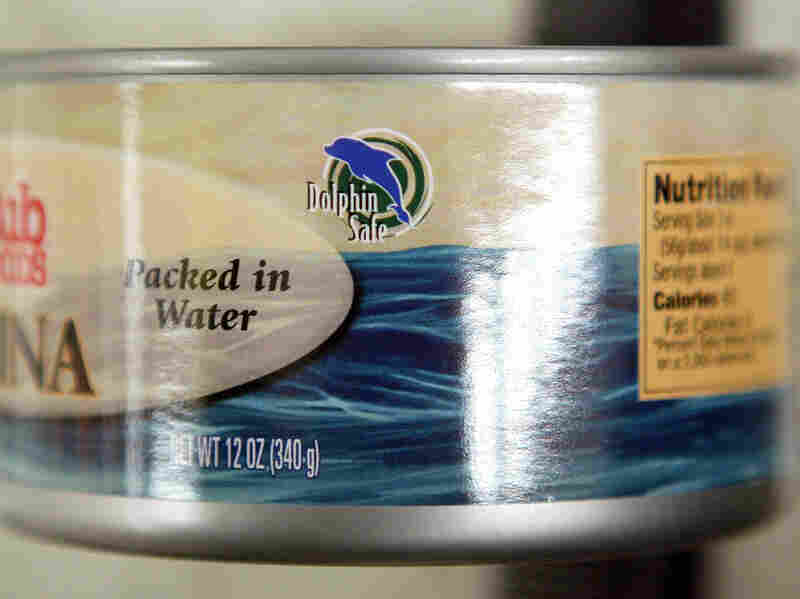 The WTO's appellate body announced Friday that it was dismissing Mexico's claim, saying the U.S. had justly denied Mexican tuna products the use of its "dolphin safe" label. Though the label is not mandatory for tuna products to be sold in the U.S., denying Mexico the label, as the WTO itself observes, "constitutes an 'advantage' on the US market for tuna products." Authorities north of the border reject Mexican tuna products because they generally reject Mexican fishing techniques in the eastern Pacific Ocean — which frequently involve tracking dolphins because they often swim with tuna. Tuna fishers using large nets can kill large numbers of dolphins. Here is what one of those "dolphin safe" labels may look like. "But over the years, those numbers have dropped significantly. Fishermen now use techniques so the mammals can escape. They've banned night fishing. And all boats in Mexico's tuna fleet have independent observers onboard," NPR's Carrie Kahn reported in 2013, when a previous WTO ruling sided with Mexico. Mexico's government told the WTO that now that these changes were in place, it was unfair to punish Mexico in the U.S. market. The WTO initially agreed but then reversed itself in October 2017, and it was this decision that the WTO appellate body upheld Friday. U.S. Trade Representative Robert Lighthizer said in a statement released last October, "The Trump Administration is committed to defending U.S. rights to enforce environmental measures that protect wildlife and facilitate fair trade." Environmental advocates cheered Friday's decision, with Humane Society International calling it "truly amazing news for dolphins." "The WTO has delivered a US victory in what looks to be the final & decisive battle of a long war between the US & Mexico over the US Dolphin Safe label."